I love what you do, your great fonts and I adore your press! The people I send your cards to love them! One is for my sister's birthday. 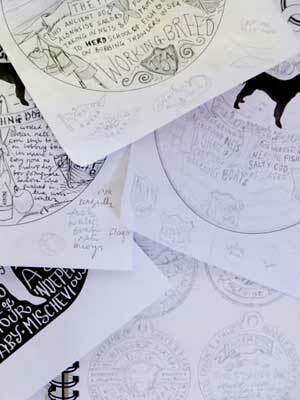 New prints usually start life as a series of pencil thumbnail sketches, doodles and lettering ideas. Once the visual layout is confirmed I have to consider the technical printmaking implications of achieving the final print. 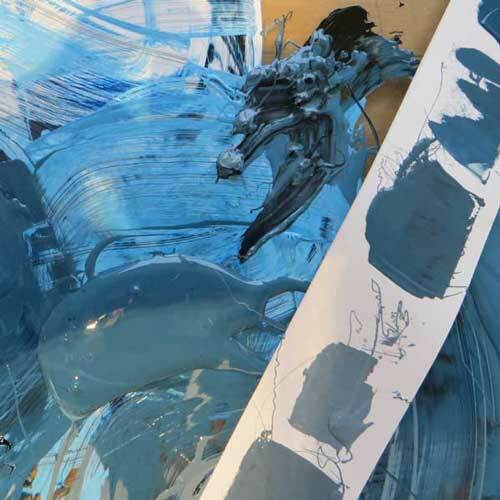 Printmaking requires you to think in layers, as each different colour to be printed usually needs a separate plate. 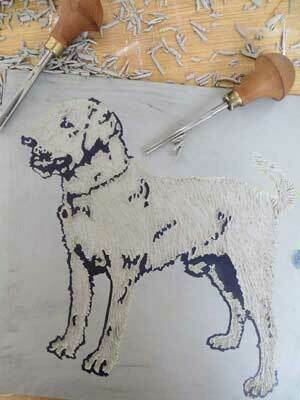 For a lino-print, I transfer the relevant parts of my design onto a piece of linoleum. Cutting the lino is painstaking, intense and therapeutic. I cut out the design using woodcarvers gouges. They have very sharp steel edges and rounded wooden ‘mushroom’ handles which fit beautifully in the palm of my hand. Each cut is final — there is little room for error. It can take up to a week to carve a plate, depending on its complexity. 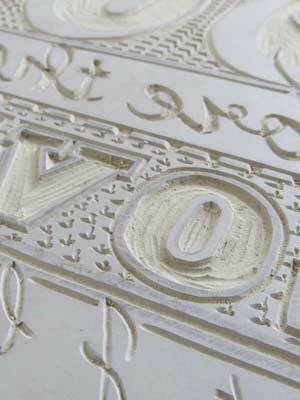 Letters have to be carved in reverse (so that they are the right way round when they are printed). 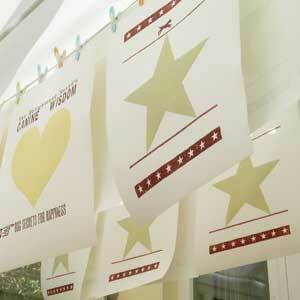 I use traditional oil based printing inks. They have very intense colours and are thick and sticky and they take a while to dry, so I can only print one colour every couple of days. 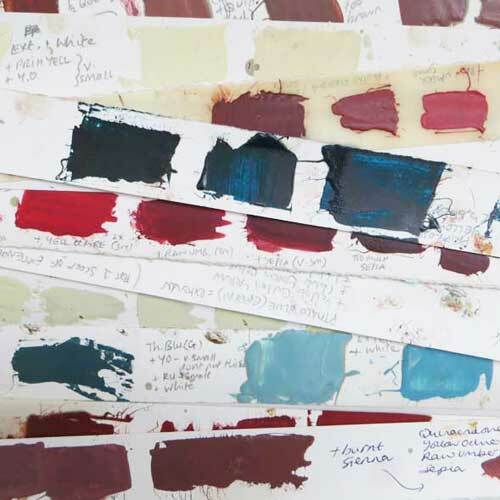 I mix up my colours by hand and therefore colours between batches of prints vary slightly. I use strips of paper as ‘recipe’ cards for the colours I have mixed so I remember how to recreate them next time. 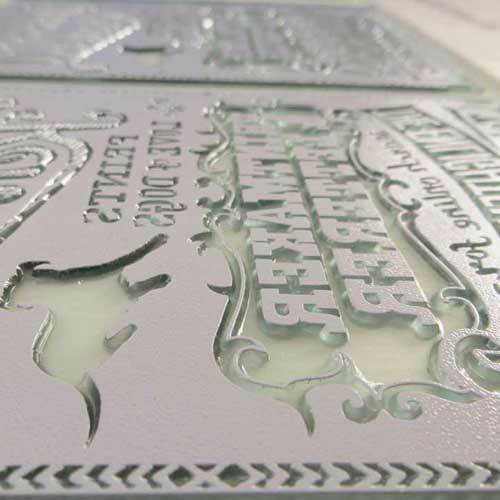 Inks are rolled out on a glass slab in thin layer and applied to the plate using a brayer. 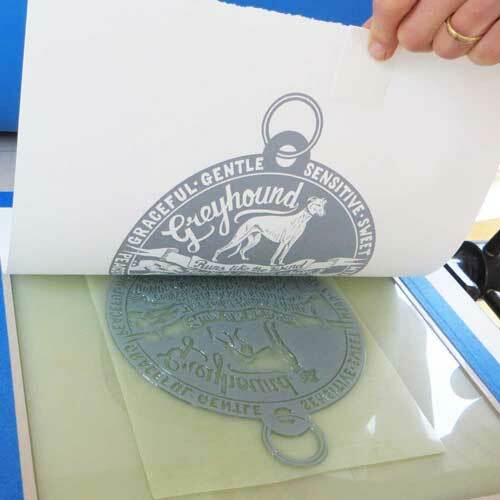 The paper is placed on top of the plate and the colour is transferred to the paper - either by passing it through a press or by burnishing the back of the paper by hand. 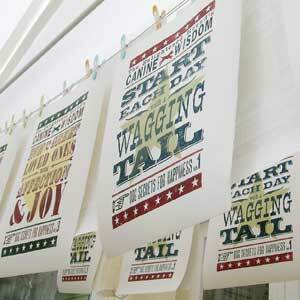 Colours (plates) are printed one at a time and the prints are hung up to dry in between colours. 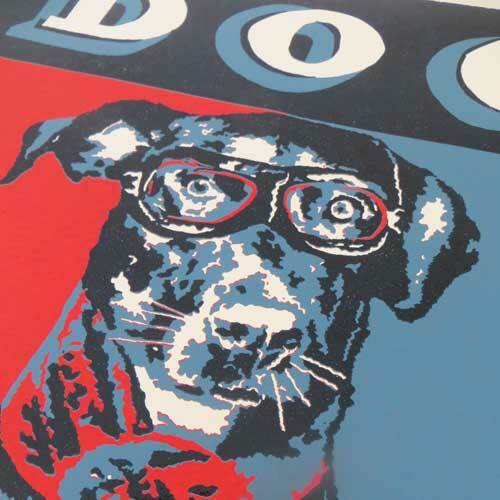 If the detail on the design is too fine to cut into lino I use a photo-polymer plate. 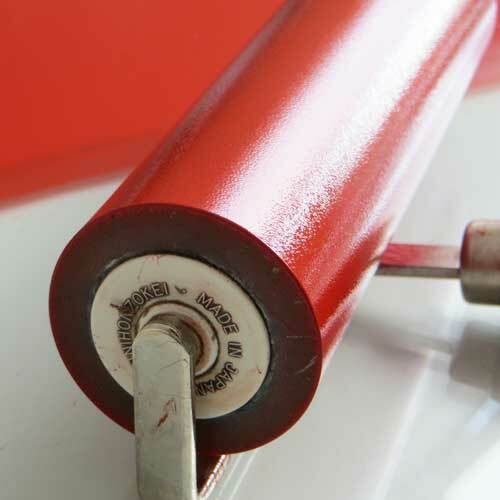 These are often used in letterpress printing. 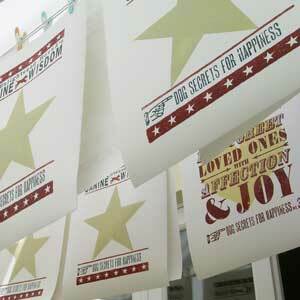 They too are hand printed individually on my press.